2014 Rally Mexico is soon to get underway. Its the first time the drivers will tackle gravel this season after the ice of Monte Carlo and the snow of Sweden. Its also a debut Rally for many of the WRC drivers, such as Citroens Kris Meeke, M-Sports Elfyn Evans and VW’s Andreas Mikklesen. But before the Rally, the crews face a Pre-event Shakedown. Getting the cars and themselves up to speed on the gravel before the first stage. Its also a rough indication of their speed. Although Shakedown isn’t always a true representation of the stages themselves. 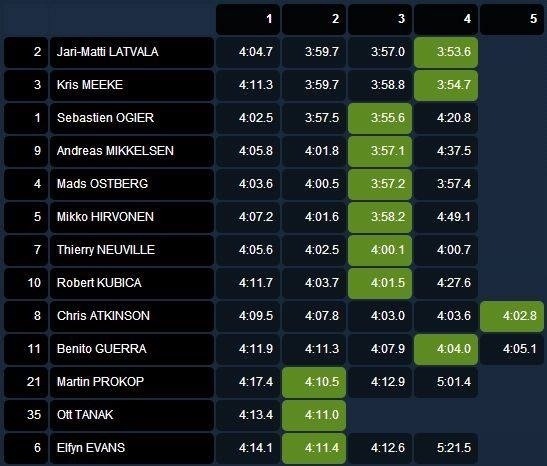 And starting as he finished, Volkswagens Jari mati Latvala sets the fastest time through shakedown. No doubt a confidence boost ahead of stage one.